After meeting my husband for lunch and eating nachos piled high with toppings, I decided Nachos would be a perfect 15 minute meal try add to the blog. Because we only have fifteen minutes, we will be using seasoned ground beef as our meat of choice. 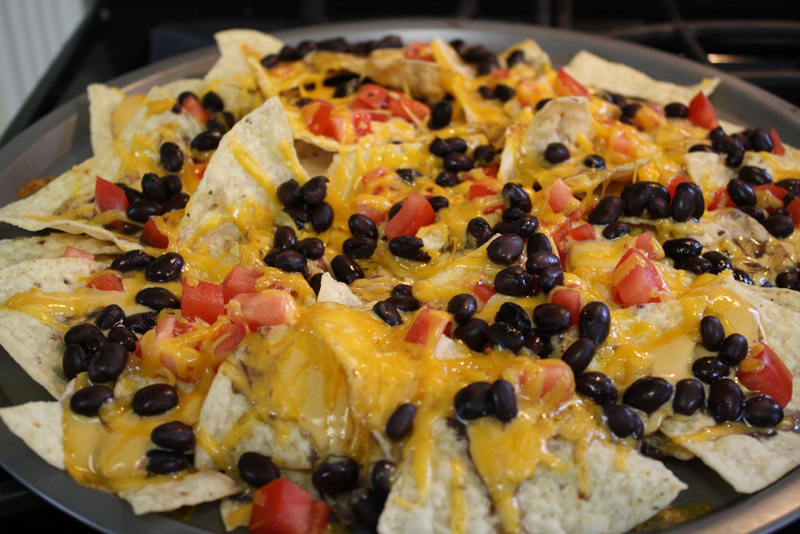 However, check back later for how to make Shredded Chicken Nachos, because that is just a must! Let's start by gathering our ingredients on the counter! Brown the ground beef and drain extra fat. Add water and taco seasoning packet. Stir and heat on low until thickened. *Note: seasoned ground beef can be made in advance and reheated in the microwave to save time. 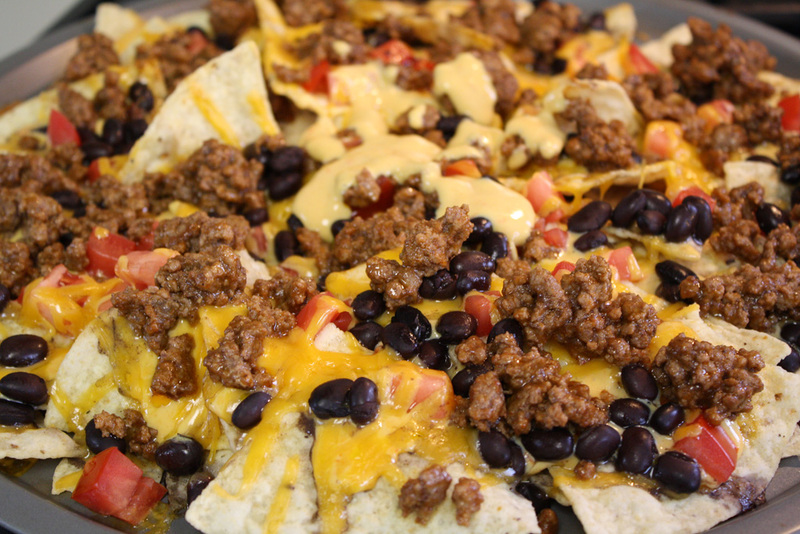 While the ground beef is cooking, heat the cheese sauce for 20-30 seconds in the microwave. Spread out a layer of taco chips on a 12" pizza pan (or microwavable dish). 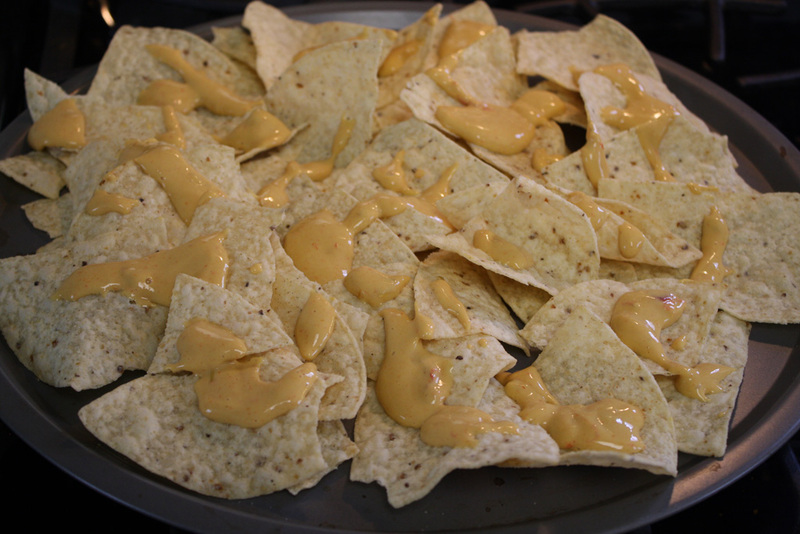 Spread the heated cheese sauce evenly over the nachos. 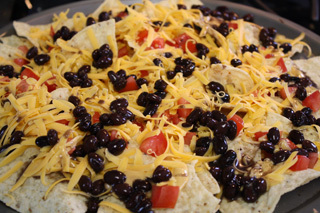 Top first with the black beans and diced tomatoes; then cover with the shredded cheddar. 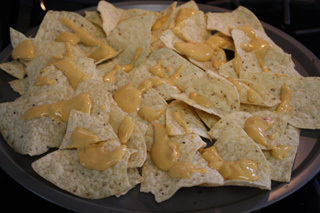 Place in the oven at 350F (or microwave for 2-3 minutes if an oven is not available) until cheese is just melted. The oven will keep the chips crisp while allowing the cheeses to melt; microwave can lead to soggy chips. 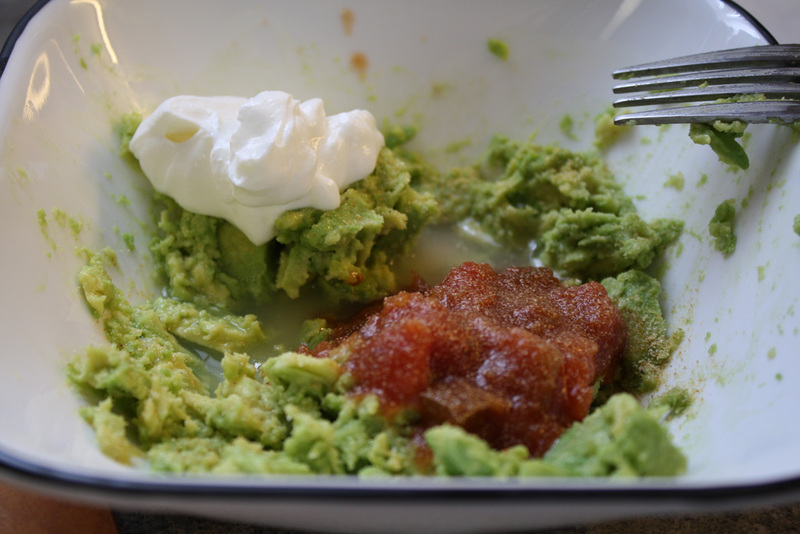 While the meat is cooking and cheeses are melting, mix up a quick batch of homemade guacamole. Start by removing avocado flesh from its skin and placing it in a bowl. Mash with a fork. Then mix in lime juice, sour cream, garlic powder, and salsa until well combined. 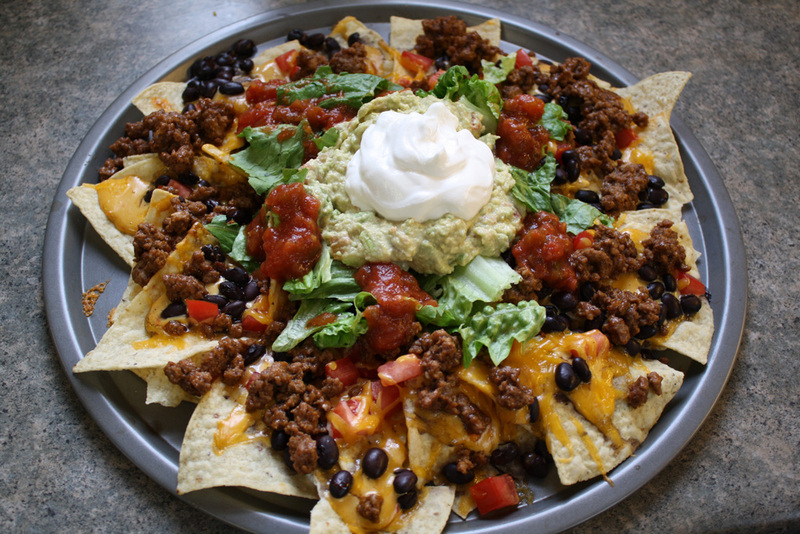 Top your nachos with shredded lettuce, salsa, guacamole, and sour cream. You are good to go! Enjoy your tasty nachos piled high with flavor!